Marinated, grilled Halibut makes the perfect Sunday dish when you’re looking for something new and exciting. This flavourful fish recipe is so good you’ll want to make enough for Monday’s lunch, and while we suggest you pair it with our new Gothic White wine, that may be frowned upon at the office. In a food processor or blender, combine garlic clove, thyme, basil, chives, coriander and olive oil. Set aside and use for marinade. Reduce to a puree`, pulsing first and then gradually turning up the speed, set aside. 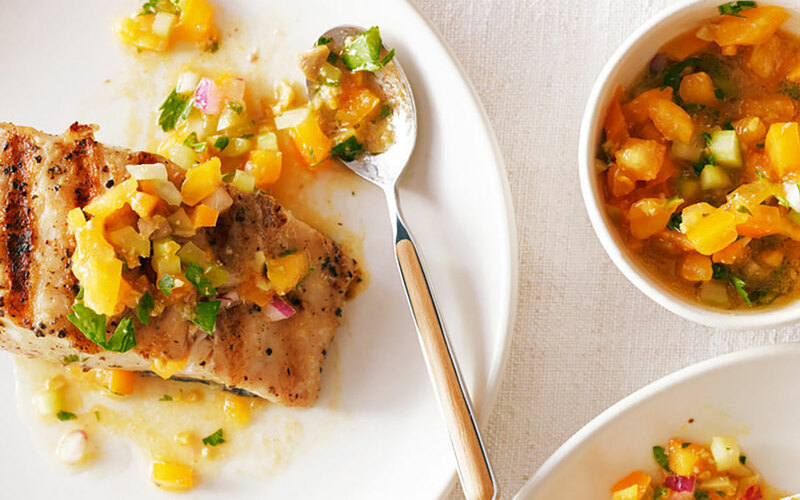 In a bowl, mix together the salsa ingredients grape tomatoes, mango, yellow pepper, olive oil, lemon juice, fish sauce, chives, coriander, salt and pepper and stir gently. Taste and adjust the seasoning if needed. Cover and refrigerate, let rest for 3-4 hours. Place the halibut in a baking dish, top with the marinade mixture. Let marinate for 3-4 hours. Preheat the barbecue to maximum heat, or at least 500 degrees Fahrenheit. Brush clean and oil the barbecue grill. Remove the excess marinade from the fillets and gently pat dry with paper towels. Close the lid and cook for 3 to 4 minutes. Turn the fillets over and continue cooking, still covered for 3 to 4 more minutes. Place the fillets on serving plates and top with salsa. 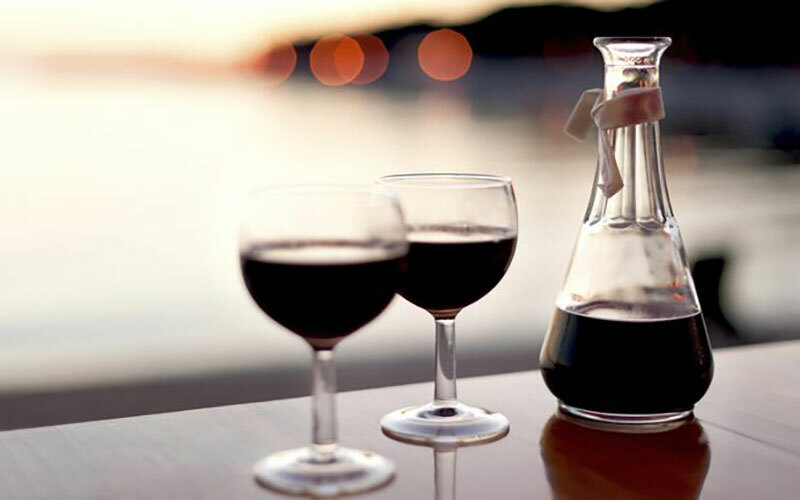 Just before you serve, pour a glass of wine. To best compliment this dish we recommend that you pair it with Vin Bon Gothic White.